Ever wondered what birds are in the Mystic River Watershed? On Saturday, May 7th MyRWA Board Member Michael Fager will lead a bird walk in Torbert MacDonald Park, paying special attention to migrating birds. Please join us! All levels of birders are welcomed. Bring your own binoculars and wear comfortable shoes. Photo by Lew Scharpf. 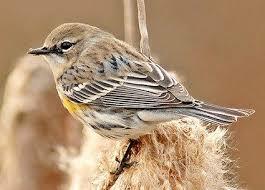 Yellow-rumped warbler.Saturday, May 7, 7am to 9am, Torbert MacDonald Park, Medford. Meet at the MacDonald Park parking lot on Route 16.